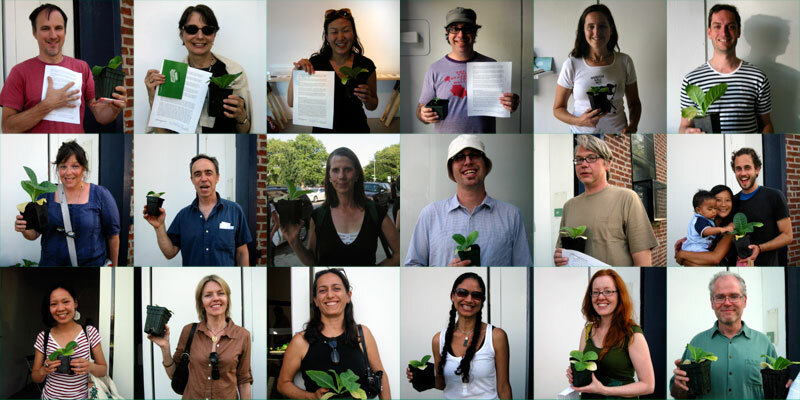 Recipients of tobacco plants, June 24, 2007. Plants and cultivation instructions were given away at the end of the show. Exhibition at ArtMovingProjects, Brooklyn, NY, May-June 2007.